TORONTO, April 2, 2019 /PRNewswire/ - Logojoy, an online platform that has helped 5M+ entrepreneurs make a logo for their new brand, has today introduced a new brand of its own — Looka. The company's rebrand includes a new name, logo, and website, as well as a focus on new product offerings. After creating a logo with Looka, customers can now get a brand package that includes logo files, brand guidelines, social media assets, and business card designs, all for under $100USD. The company is also announcing the release of its website builder product, through an official partnership with Weebly. "As we grew Logojoy, we discovered that entrepreneurs were looking for a one-stop shop to get all the branding assets necessary to launch their business. We decided to start serving this need, but quickly realized that our name was pigeonholing us as just a logo maker," said Dawson Whitfield, CEO and co-founder of Looka. "With our new brand, we're well-positioned to grow our product offerings to include the many types of design that entrepreneurs need throughout their business journey." Of those, the vast majority had a budget of under $500, putting Looka in the position to offer a branding solution that's more cost-effective than using a crowdsourced design site and more custom than using standardized templates. Looka's ability to customize logos to an individual's preferences has been achieved by leveraging Google's Tensorflow to build proprietary machine learning technology. The company plans to expand this technology to develop a platform that can instantly generate all types of business design, such as posters, menus, packaging, banner ads, and more. "TensorFlow was designed to help companies easily integrate elements of Machine Learning into their business and gain a unique competitive advantage. Looka is a perfect example of that," said Christine Robson, Product Manager, Research and Machine Intelligence at Google. "With TensorFlow, startups like Looka can turn ideas into incredible technology." Since launching as Logojoy in 2016, the company has experienced 2.5 years of rapid growth. Last November it announced a $6 million CAD Series A funding round, and in the past 12 months, it has sold $8.1M CAD worth of logo packages. To continue its growth, Looka plans to expand its team from 37 to 60 employees by the end of 2019. Accommodating these new hires will require moving into a new 8,500-square-foot office in downtown Toronto on May 1st. 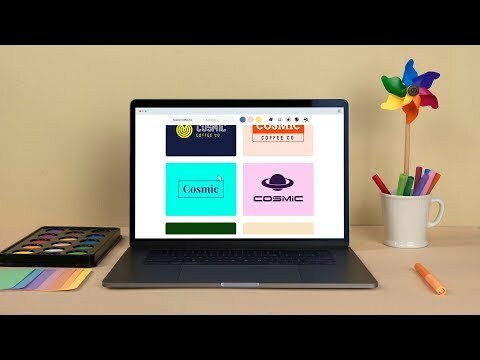 Looka is an AI-powered design platform that provides business owners with a quick and affordable way to create a beautiful brand. Since launching as Logojoy in 2016, the company has served over 5 million users. Looka provides businesses with logos, brand guidelines, social media assets, business card designs, and websites. To learn more, visit looka.com.